Lofts on Main Street is a small condominium right in the downtown of Lakewood Ranch. It is comprised of just 20 units within a three-story building on 8111 Lakewood Main Street. This condominium was built in 2006 at a time when the Lakewood Ranch master development has just completed several of its primary amenities. These features that helped propel market interest on Lakewood Ranch homes for sale include Market Square at Town Center which is just a short distance from the Lofts. During this period in the early 2000s, the State College of Florida also opened in the Lakewood Ranch its Center for Innovation and Technology along with the launching of the master development’s first medical office. In later years, the University of South Florida Sarasota-Manatee College of Hospitality and Tourism Leadership followed with the opening of its Culinary Innovation Lab at Lakewood Ranch Main Street. Set close to the shores of Lakewood Ranch’s largest lake, Lake Uihlein, the Lofts mid-rise building has its residential units on the second and third floors, while commercial tenants occupy the first level. The condo units afford gorgeous views of the nearby lake as well as the superbly landscaped town square in the Lakewood Ranch Main Street that dazzles with its tropical palms and fountain. Living in the Lofts is spiced up not only by the condominium’s proximity to the retail shops and restaurants in Main Street. 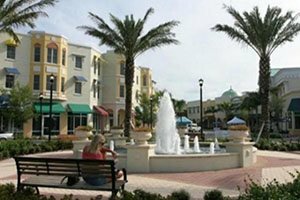 The Lakewood Ranch downtown is also host to a cinema and regular events featuring music and arts festivals. For all their superior features and outstanding location, the Lakewood Ranch Lofts condos for sale count amongst the more affordable choices of the Bradenton-Sarasota real estate market. Typical price quotes of available units in this condominium start from the upper $100s and tops higher in the $300s. The living spaces of these condos range between 1,135 and 1,580 square feet designed with one to two bedrooms. Select units of the Lofts are bundled with a carport on the lower level of the building. The Lofts offers the more affordable choices of Lakewood Ranch condos for sale within the master development’s downtown area. In the condominium complex, Waterfront at Main Street, just north of the Lofts the prices points are in the $400s-$700s range. The units here though are typically larger and the complex provides plenty of in-house amenities. Condo living in Lakewood Ranch, particularly on Main Street, would be suitable for young professionals or businessmen pursuing the economic opportunities in the master development as well as in Sarasota and Bradenton. 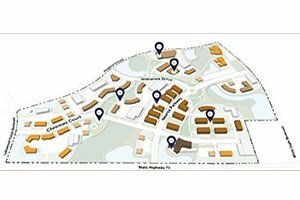 Lakewood Ranch itself is host to vibrant business parks which have been drawing plenty of businesses in recent years. The business hub called CORE is one of these potent local areas to grow a business or a career. This is a research/corporate complex located in a 305-acre site for companies engaged in life sciences and future tech. 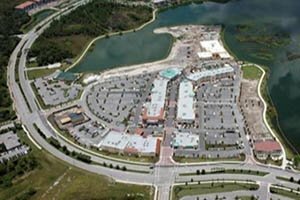 Lakewood Ranch also boasts of its Corporate Park, the largest of its kind in the Bradenton-Sarasota region, with 1.9 million square feet of commercial and office space that certainly contributes much in the dynamics of local residential market. Below are the current real estate listings available in Lofts on Main Street. Listing courtesy of: MERITA FERRELL LASKY LIC. RE.